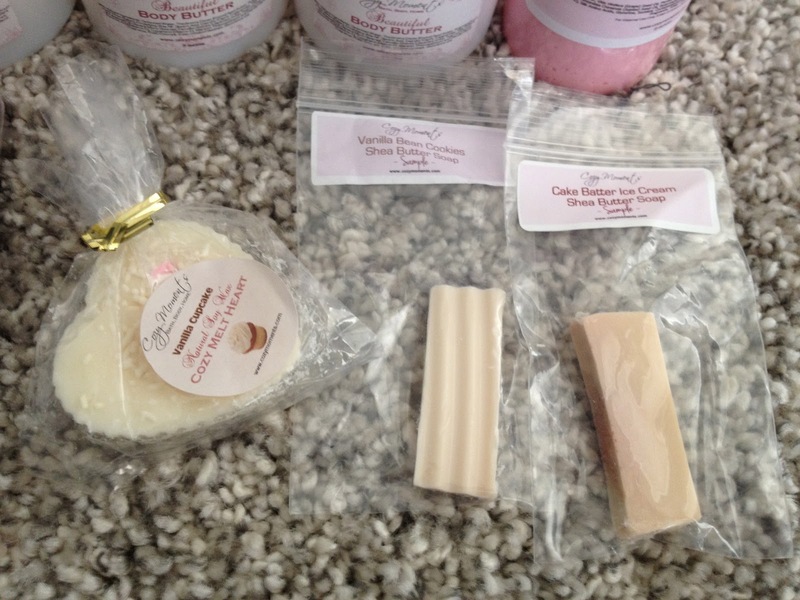 Cozy Moments on Etsy makes some of my favorite body creams and lotions. Their Beautiful Body Butter and the Moisturizing Body Whip are just awesome! Since I was running low on my body butters I decided to order a bunch of them in different scents. I also got a Moisturizing Body Whip! I love all scents except for the pumpkin one (I think I am just not so much into pumpkins). These butters are so decadent, they feel so rich, creamy and like whipped. The scents are mainly bakery and they just smell so yummy! As far as I am informed these lotions and body butters are made from scratch! I also got a bunch of freebies/samples incl. some wax melts. I especially love the small body spray in Birthday Cake, it smells so awesome!